Quotes About Spring Top 10 List. Amazing Spring Quotes & Quotations! Here's a beautiful collection of Quotes About Spring. 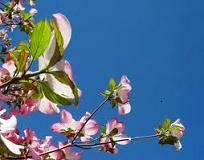 If you're looking for the best Spring quotes and quotations...you'll find them right here. Enjoy these wonderful Springtime quotes! I hope you've enjoyed this Top 10 List of Springtime quotes.